Everything for your top-quality water: We are the experts. Clean and perfectly hygienic potable water is something very precious and needs to be protected. Many standards specify numerous requirements to ensure the preservation of our potable water quality. However, risks are high when the installation is not made properly or according to standards — this could reduce the potable water quality, cause infectious diseases and lead to recourse claims. The high-quality protective devices from SYR protect the potable water installation against backflow, backpressure or backsiphonage of water. Thus, you can always guarantee your customers that their water does not present any health hazards. Large-scale installations, best possible protection: SYR’s Flange BA Backflow Preventer prevents the backflow of non-potable water or other fluids into the potable water system, thus protecting the potable water quality up to fluid category 4 according to EN 1717. 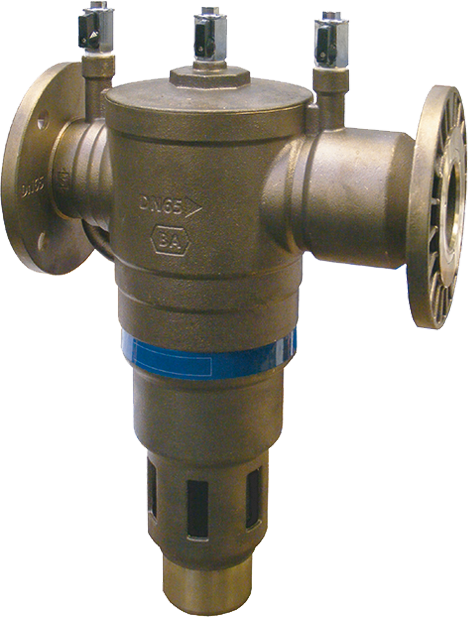 Like the other Backflow Preventers from SYR, this BA-type is also designed with the easy-to-service cartridge technology. An integrated upstream filter protects the control unit against dirt, which will ensure a long service life.